Grab your sweater and a spoon of course because souping season is here and it’s in full force! This soup freebie is both veg-packed and low-cal. It’ll also carry you over if you’re hungrier than usual. Think of them as your daily dose of detox without compromising your waistline goals! 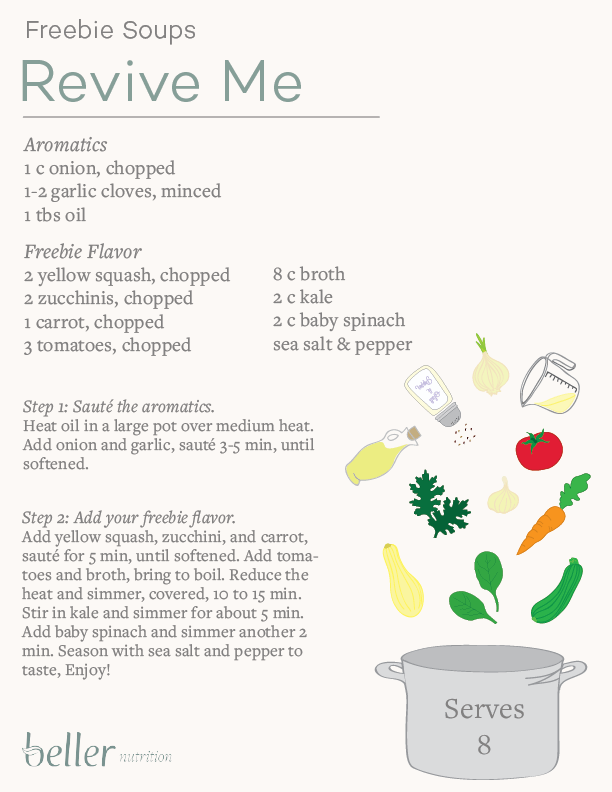 Simply saute the aromatics, add a freebie flavor, and sip your way to an invigorating bowl of delicious. And of course you can always dress up your soups with extra spice and herbs for a nutritional punch! Wanting more recipes for souperior health and weight loss success? Pre-order my new book Power Souping for over 50+ delicious and filling soup recipes.